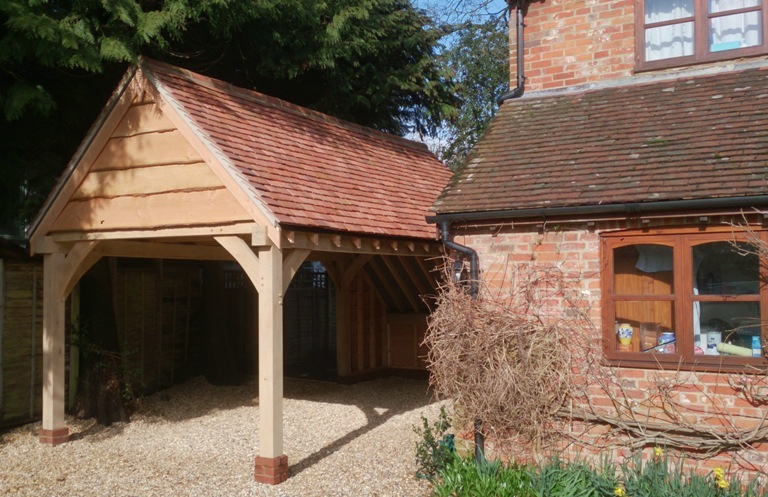 Each of our bespoke oak frame garage designs has been tailored to fit the landscape & the immediate surroundings, in both scale & choice of materials used; so it wasn’t unexpected when planning permission was successfully granted. 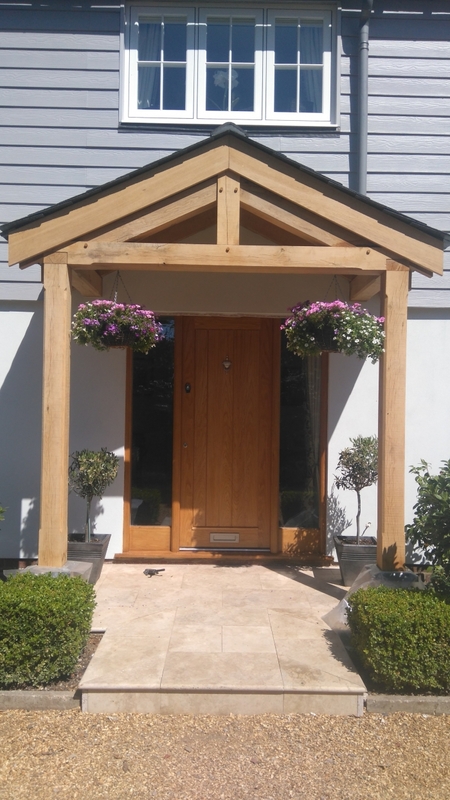 In this case the green oak frame was clad with waney edge Douglas Fir, together with mellow handmade bricks and reclaimed clay roof tiles, all well chosen to match harmoniously with the existing cottage. On site each element of the build was completed with as little inconvenience as possible to our clients’ busy lives and routines. Unfortunately we did suffer with a large amount of rainfall during the majority of the build, as did the rest of the country, but as we were fixing the last remaining pieces of cladding the sun came out and the air warmed sufficiently to let us know Spring was on the way. 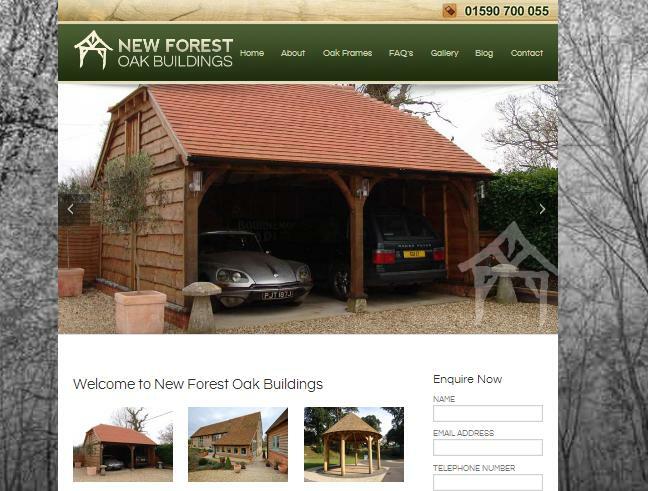 The clients are delighted with their new oak framed garage which is a really lovely addition to their home.